Lisa and Raymond brought us their manuscript as a Word file to be prepared for print-on-demand and converted into an ebook. On first assessment, we discovered that a lot of the images were too poor quality to be displayed well in print, so we sourced new images and used them during the book layout phase of the project (typesetting). We also designed the cover, making sure it fit the specific printing requirements for this book via print-on-demand. The thickness of the spine is only known after the internals have been designed, for example. Once the print files were created we used them to create the reflowing epub and mobi files. 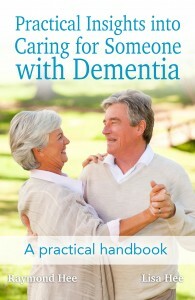 The result was a high quality, professional and practical handbook for people with dementia and their carers. 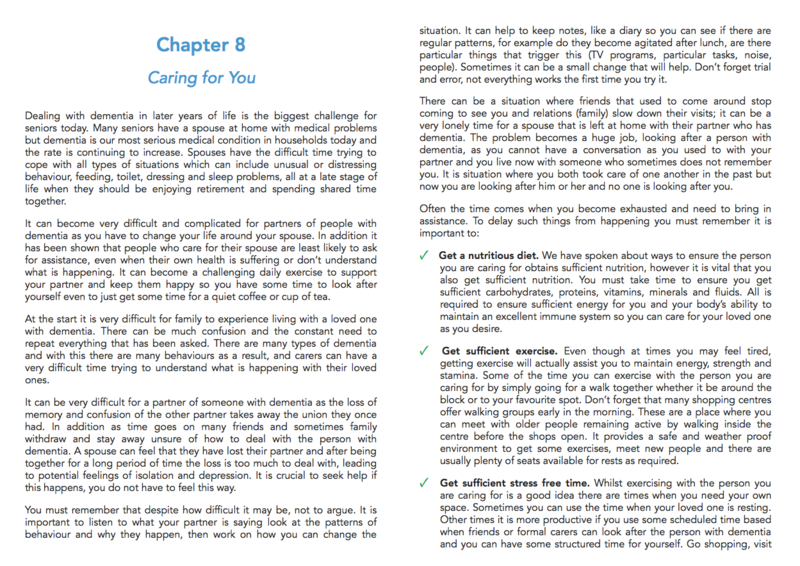 This book is designed to assist those caring for people with dementia, whether it is family members at home, people who meet others with dementia in the community or paid carers in any environment. 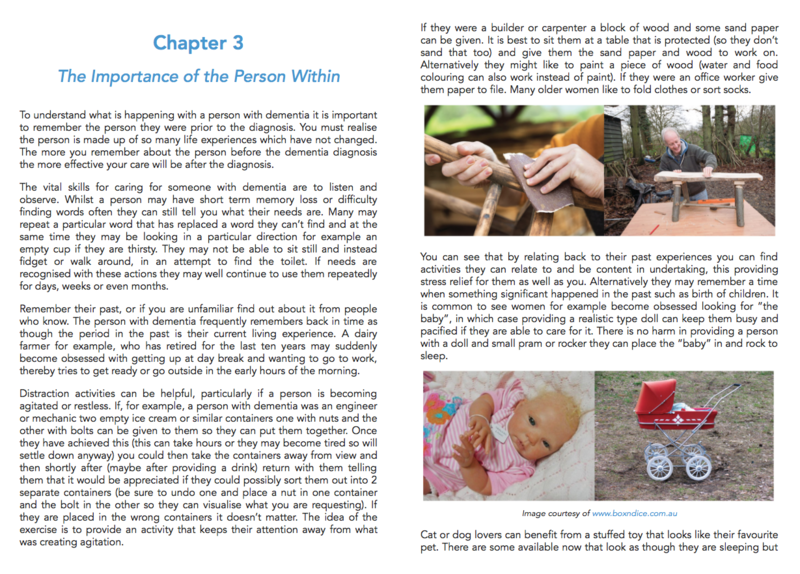 It is not full of theory, rather based on more than 40 years collective experience of people who have cared for people with dementia and their families. 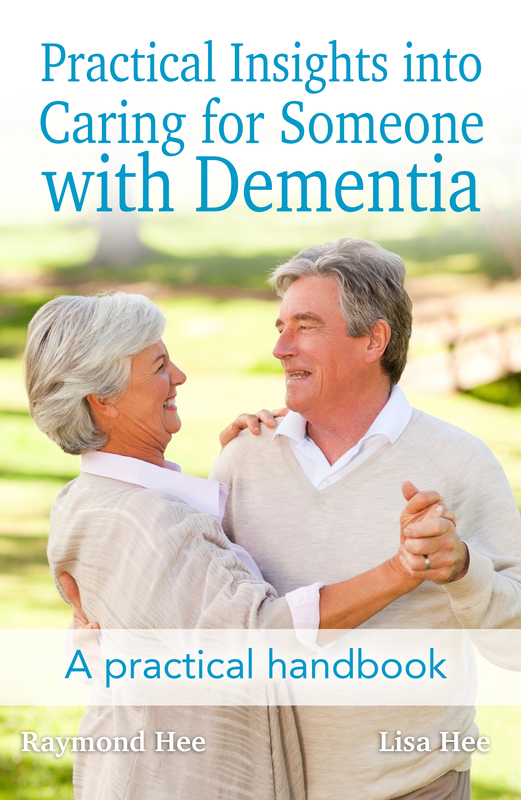 It provides practical advice, sometimes referred to as "tricks of the trade" to provide insight in promoting the health and well being for the person with dementia and their carers. Tips include how to encourage someone to not only cooperate, but actually enjoy their showering routine. 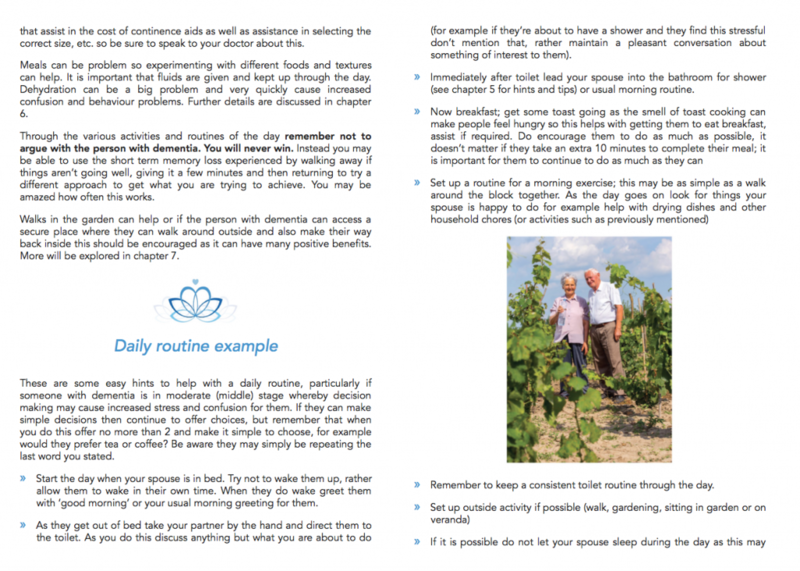 Strategies are included on encouraging conversation with a person with dementia and how the carer ensures their well-being. The tips and strategies are what make up this book and there are many. This book has been reviewed by both spouses and children of people with dementia who admit this book would have been of great benefit to them as they shared the progression of dementia with their loved one.